Other Family Data Father of Mayer Nachem Weinberg (1G4), Samuel Weinberg (1E5), Eva Weinberg Bercovitz (b. 1865) and Victor Weinberg (b. 1872). 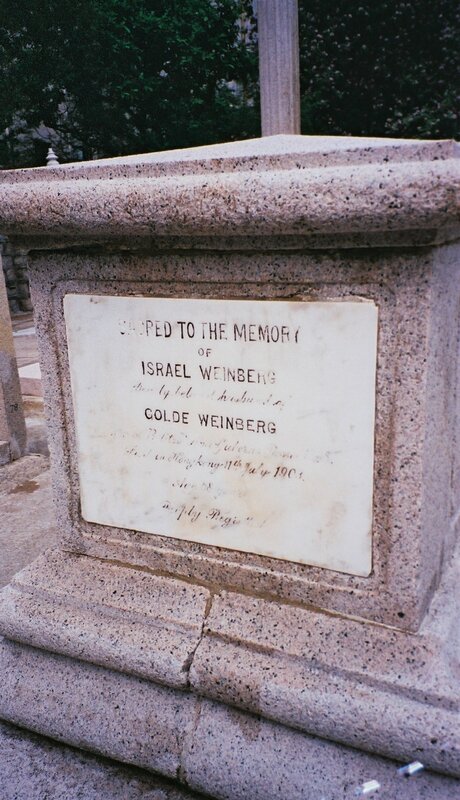 Grandfather of Eva Weinberg (1F6). Father-in-law of Carl Bercovitz (1H15). 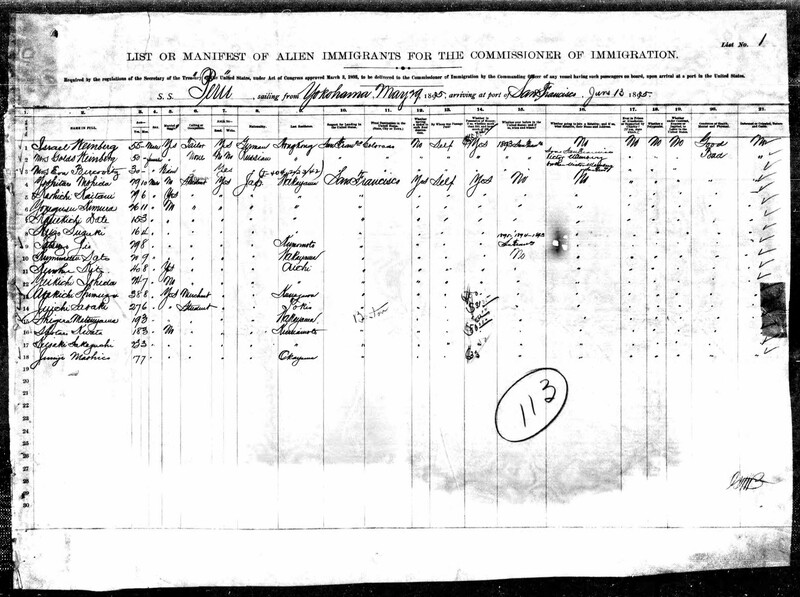 Historical His name appears on a ship’s manifest for the SS China, which sailed from Hong Kong on 9 August and Yokohama on 19 August 19th, 1893, and arrived in San Francisco on 31 August 1893. He was accompanied on the trip by his wife, daughter (Eva) and son (Mayer). Why wasn’t Samuel with them? Their son, Victor, was living there. According to the manifest, he was a tailor but in 1892 he was the proprietor of the Rose, Shamrock and Thistle on 290 Queen’s Road Central. Belitza (now Bielica) is located south of Lida in Belarus. A mass execution of 36 Jews from the town took place there on July 23, 1941. A gubernya was a major administrative subdivision of the Russian Empire.